Our thanks to FEMA for sponsoring the January meeting of the Colorado Rocky Mountain Chapter of ACP. Thirty members and guests listened to a short introduction by Tony Mendes that was followed by remarks by MERS Chief Stephen Sterling and a tour of MERS mobile equipment. Tony explained changes to the 2016 National Flood Insurance Program that were needed because of the many floods to hit our country recently. The program will now rely on re-insurance, with the effect being lower long-term cost to the government. With so many disasters occurring with increasing frequency, both the Department of Homeland Security and FEMA are hiring for full-time, part-time, and reserve positions. During the transition to a new administration, those departments are being managed and operated by long-term senior employees. 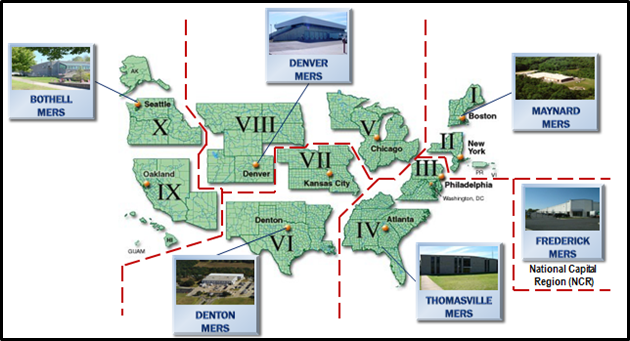 The Denver MERS office supports both Region 5 (Chicago) and Region 8 (Denver), and both regions report to Washington. Other MERS offices are based in other parts of the country. 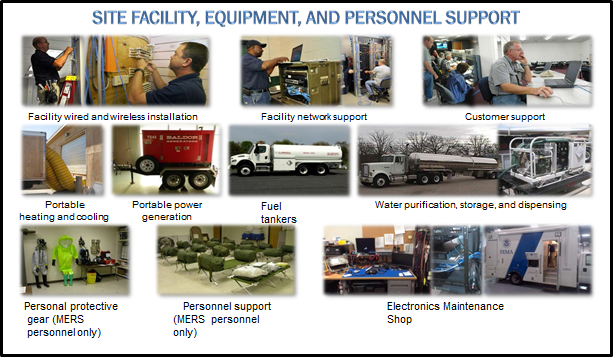 The MERS units respond to emergencies with domestic or military planes, large trucks, or special vehicles. Steve explained that the ACP group would be able to tour several emergency response units with differing capabilities. Four pictures of the MERS tour are included below. 1. When communications fail, the mission can fail, with tragic results. 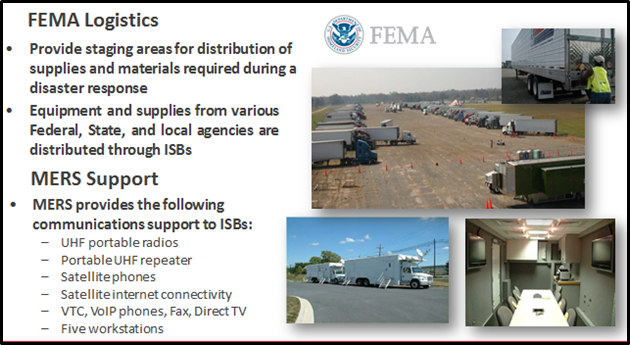 Public Safety emergency responders need effective communications to do their jobs in any environment. The ability to communicate can mean the difference between life and death. 2. 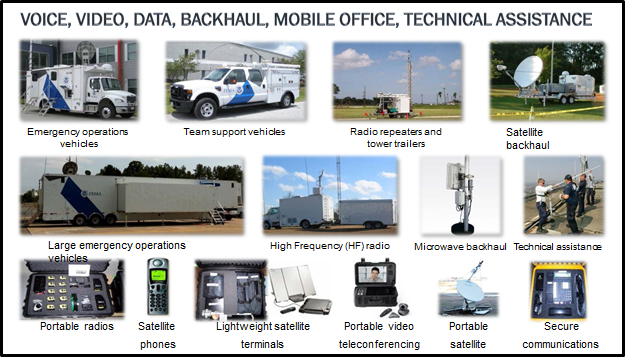 The MERS Mission: Deploy, install, operate, maintain, and protect telecommunications, logistics, and operations assets in support of planned special events and in response to disasters, assisting citizens and first responders as they prepare for, protect against, respond to, recover from, and mitigate all hazards. 7. 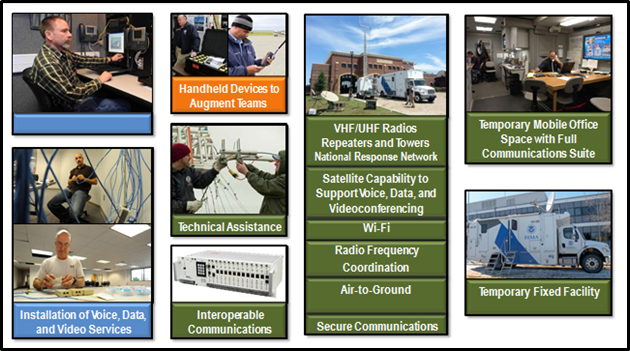 MERS participates in Urban Search and Rescue by providing communications support with portable field communications packages to include UHF portable radio caches, portable repeaters and trailer mounted towers, and satellite communications to provide data connectivity for internet and VTC communications.